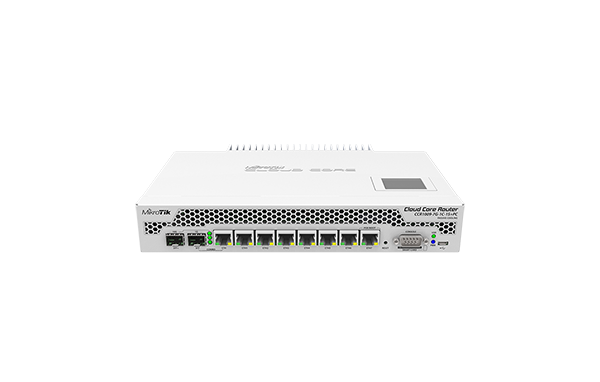 Home :: Mikrotik Rack Mount Routers :: Mikrotik RouterBoard CCR1009-7G-1C-1S+PC High Performance Cloud Core Router with 8-10/100/1000 ethernet ports, 1 SFP port, 1 SFP+ port, external power supply and RouterOS Level 6 license - New! Mikrotik RouterBoard CCR1009-7G-1C-1S+PC High Performance Cloud Core Router with 8-10/100/1000 ethernet ports, 1 SFP port, 1 SFP+ port, external power supply and RouterOS Level 6 license - New! CCR1009-7G-1C-1S+PC is a low cost industrial grade router with Tilera 9 core CPU! 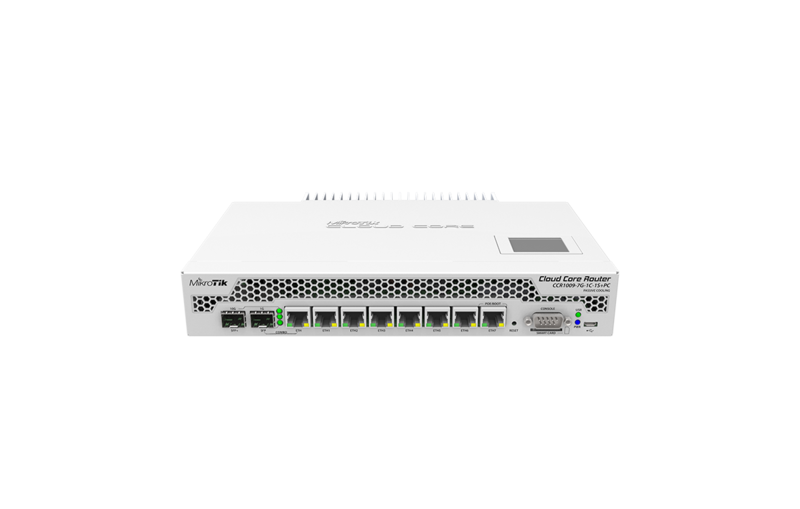 Amazing power and performance for value - this is our full featured, low end CCR device, the Cloud Core Router (CCR1009). If you need many packets per second on a budget - Cloud Core Router with 9 cores is your best choice. The device comes in a compact desktop case with passive cooling. 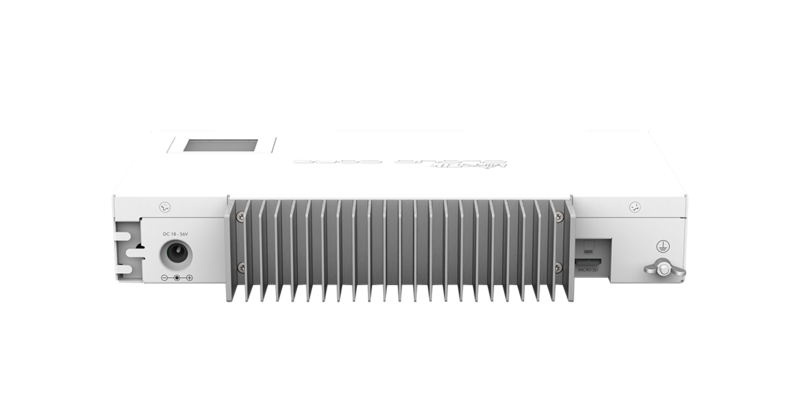 It has one SFP port, one SFP+ port, eight Gigabit ethernet ports, a serial console port, a USB port, and an external power supply. This new Passive Cooling (PC) version CCR includes internal heat pipes for high reliability. The CCR1009-8G-1S-1S+PC has its 2GB of DDR3 800MHz RAM soldered directly to the motherboard and cannot be expanded.